The Constitution Revision Commission, in it’s third convening now, is tasked with reviewing the Constitution to see if any changes should be made. 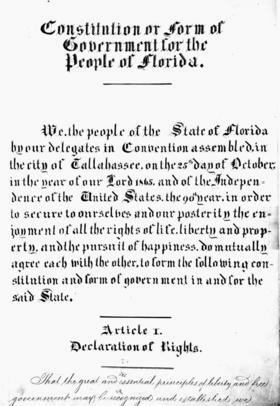 There are five ways to amend the Florida Constitution. The most common are citizen petition and a joint resolution of the Florida Legislature. The CRC, though, is arguably the easiest way for something to go from just being an idea to the law of the land. “It was designed so that citizens would be able to, after public hearings, debate and input, actually take proposals directly to the ballot,” said Martha Barnett who served on the last CRC , which convened in 1997. The CRC bypasses the courts, the need to gather thousands of signatures and, hypothetically, legislators arguing from different sides of the aisle. Barnett says it’s also a way to think about what the state will need way off in the future. 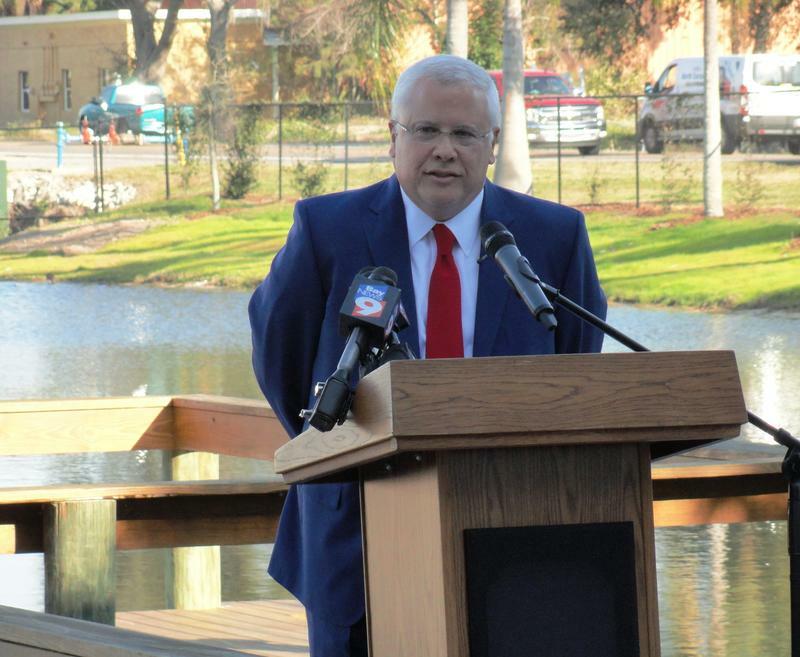 “In a rapidly changing world of technology, globalization, an increase in the population in Florida and the environmental changes, what do we need in 2027, 2032, 2037?” said Barnett. When she was part of this group, it addressed gun control issues like background checks and waiting periods; it restructured the state Cabinet, consolidating and eliminating Cabinet positions, and, for the first time, spelled out that women and men have equal rights. Then, like every potential constitutional amendment, regardless of how it makes its way to the ballot, these went to the voters for final approval. Eight of the nine proposals passed from that last CRC. Compare that to the zero amendments passed after the first CRC in 1977-1978. This year is a little bit different. Before, if just 50 percent of Floridians approved an amendment, it would pass. When Floridians go to the ballot in November 2018 and see this years’ CRC proposals, 60 percent will have to agree for a proposal to pass. This is also the first time that 33 of the 37 people chosen to be on the CRC were picked by Republicans. This has some observers concerned about possible political influence on what is supposed to be an independent body not answering to anyone else. Some of this concern stems from public statements from both House Speaker Richard Corcoran and Senate President Joe Negron—who, between them, nominated half the commission--and have said they would like the CRC to look at the issue of redistricting. In 2010, Floridians passed a citizen-led constitutional amendment called the Fair Districts Amendment, which prevents legislators from gerrymandering, that is, intentionally drawing legislative districts to favor one party. After concerns about the 2012 maps drawn by the Republican-led Legislature, a protracted legal battle ultimately rejected those maps with ones favored by Democrats. Groups like the League of Women Voters are concerned these same Republicans may try to push their nominees on the CRC to try and undo things like the Fair Districts Amendment. Barnett cautions the CRC not to take up issues that have already been dealt with either through the legislative process or citizen petition. The chairman of this year’s Constitution Revision Commission, Carlos Beruff, says he is not worried about undue political influence. 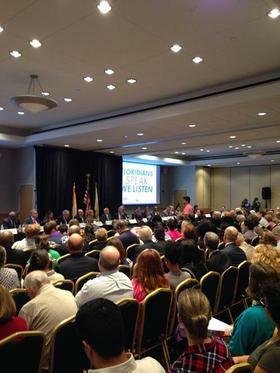 Right now, the commission is going around the state on what it calls a listening tour. For almost four hours last week in Orlando, more than 100 people took up to three minutes each to talk about what they wanted the commission to address. And the concerns ran the gamut from explicit protections for LGBTQ Floridians and a move to open primaries regardless of your party affiliation to automatic restoration of the rights of convicted criminals who have served their time. The commission will be meeting at Florida International University Thursday and at Florida Atlantic University Friday morning. There, you can tell commission members what you want changed in the Florida Constitution. There’s no end time for these meetings; Beruff says commission members will stay until they hear everyone. Before it can begin to formulate amendment language out of any of these ideas, though, the CRC needs to pass rules governing itself. These rules would govern how the group will decide what to tackle, how many votes a proposal needs to get on the ballot in the first place and what access the public will have to future meetings. Rules were set to be voted on in the CRC’s first meeting on March 20, but the vote was postponed until a future, yet-to-be-determined date. Goodman is concerned that one proposed rule would allow two members to meet about CRC business alone. For almost all other government meetings, that is not allowed. These meetings have to be open to the public. 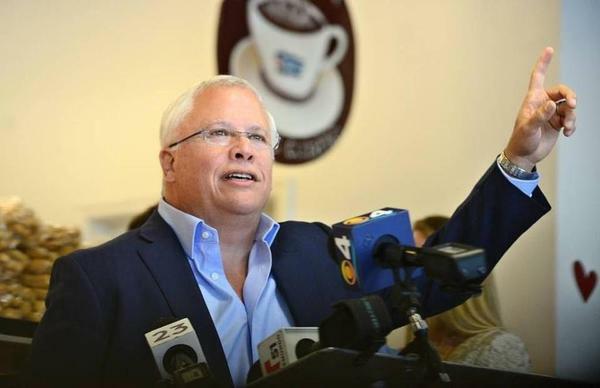 Beruff brushes aside that concern. “It’s just a process we’ll have to get through,” he said, emphasizing it’s still early in the process. Martha Barnett, the former CRC member, says she’s also not concerned, if only because all these proposals will eventually go to the citizens to vote on. “In order for the people to ultimately understand and accept whatever proposals the commission puts on the ballot, they need to have a sense of ownership,” she said. Thursday, April 6 beginning at 5 p.m.
*Complimentary parking will be available. Doors open to the public beginning at 4 p.m.
Friday, April 7 beginning at 9 a.m.
*Complimentary parking will be available. Doors open to the public beginning at 8 a.m.